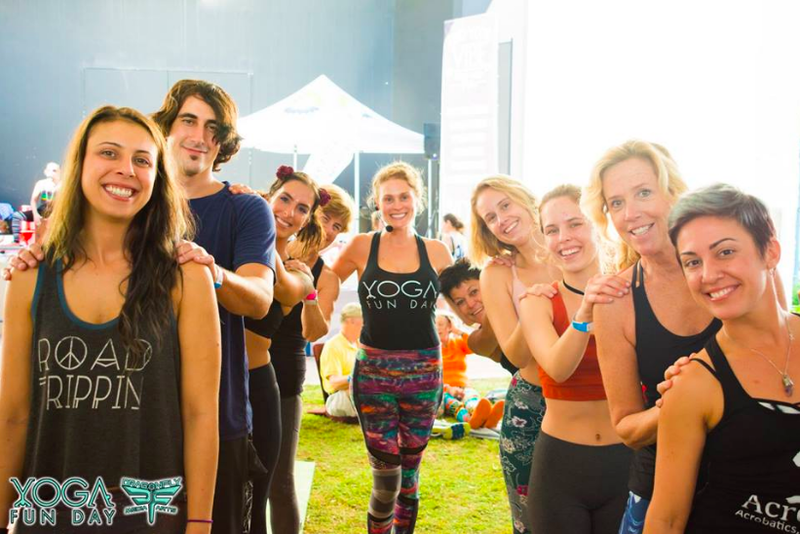 DELRAY BEACH — A sea of yogis — lovers of the mindfulness, wellness and yoga — will once again flood Delray Beach’s Old School Square later this year for the second annual Yoga Fun Day Delray. Yoga Fun Day is a one day family friendly wellness yoga festival held at the outdoor cultural arts campus, on Swinton and Atlantic avenues. The yoga festival will include a wide array of yoga classes and meditation classes from local and national instructors, vendors offering yoga-related merchandise and food, a healing zone, spa zone and more. Unlimited workshops and classes for one low price. Similar to the massive and colorful annual yoga festivals such as Wanderlust held all over the country. Expect to see a sea of yoga mats, acrobatic flow arts and yoga attire at Yoga Fun Day the best South Florida yoga festival. But unlike Wanderlust yoga festivals many parts of this festival are free. All veterans are free, kids 12 and under are free and there are a plethora of free community classes and sampler sessions not to mention all day kids zone and fun zone offering free kids and family classes for you to jump on the mat and discover the joy of yoga at this amazing South Florida Yoga Festival. Tickets at $39 for early birds (who can buy tickets online) and $49 as the event nears. Buy your ticket early for the best deal as prices go up at the door. The yoga festival lineup, features several local yoga instructor and local studios from Palm Beach and Broward counties. What are you waiting for? Get your ticket today and get ready to flow!